ONE Championship, the Singapore-based martial arts promotion who has dominated Asia for the last seven years, is about to hit television screens in North America, says the promotion’s head honcho. ONE Chairman and CEO Chatri Sityodtong broke the news on Ariel Helwani’s MMA Show earlier this week. “We’ll be announcing the US TV deal either this month, hopefully by the next couple of weeks, next two or three weeks, we’ll be announcing the US TV deal,” Sityodtong said. “ We’re at the final stages, we’ve been talking to broadcasters for about a year now, stay tuned for the next couple of weeks,” he added. The broadcast breakthrough comes after the Asian mixed martial arts powerhouse had just recently signed American stars such as multiple-time lightweight world champion Eddie “The Underground King” Alvarez, former long-time flyweight world champion and pound-for-pound great Demetrious “Mighty Mouse” Johnson, and rising star “Super” Sage Northcutt. All three new signings are widely popular in the United States. Sityodtong however says that the acquisition of talent was simply in line with ONE’s goal of bringing in the best martial arts talent that the world has to offer. Now that a US TV deal could very well be in place, Sityodtong says that there are more big names on the way. Sityodtong continued by saying that currently, ONE Championship is outdoing their Western counterparts in terms of viewership. With this much success in Asia, is it possible that ONE could soon set up shop in the United States? Sityodtong maintains that it is definitely a possibility, but the focus remains on Asian markets, where they’ve already established a strong following. 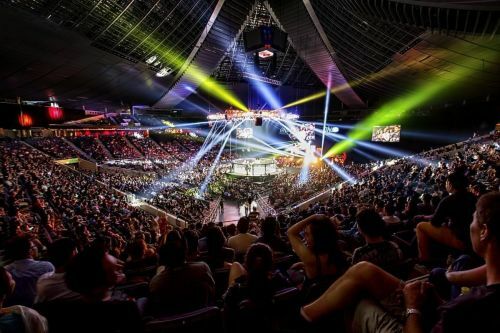 In 2019, ONE Championship is planning on holding 32 events including maiden shows in Japan and South Korea. All those events could possibly be consumed through broadcasts in the US as well.